Beautiful mountain side villa overlooking fabulous Mismaloya bay, Beach, Ocean, Jungle and mountain views. Whale watching from our three terraces during the months of December through March. Glorious ocean sunset daily. Family room, terrace, and swimming pool with jacuzzi. Spacious rooms, all decorated in comfortable mexican colonial style. All bedroom are private suites with full bathroom. Cook and maid service available at very reasonalbe rates. 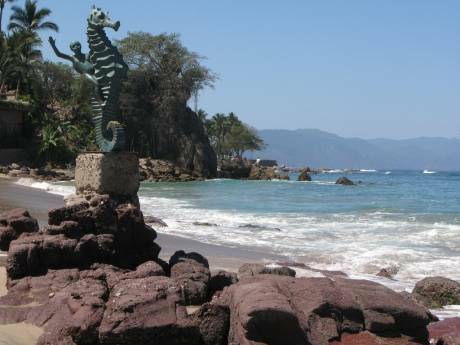 Puerto Vallarta is one of the most popular Beach cities in Nor. 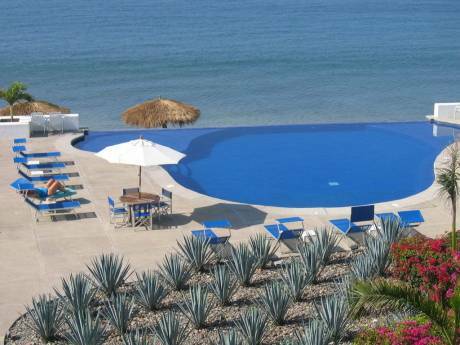 American because it combines Mexican culture with a beautiful location on the warm Pacific Ocean. Where we are located you can have it all, We are in a private junlge setting overlooking the bay and in 10 minutues you can be in the heart of a vibrant town with all the activities you can imagine. We absolutely love it. Edward and Mary Lou We are a married couple of 30 years. We built our dream home in Puerto Vallarta. We would now like to enjoy travel to other places in the world. We would like to exchange our home with others clean well situtated homes,with two, three bedrooms or more. Persons traveling, minimum the two of us, or possibly extented family total of eight. All adults, sometimes one 11 yearold granddaughter, Yazmin. Our home is situated on a private mountain side residance among exclusive villas, overlooking a beautiful bay. In a tropical jungle area with exotic plants and birds, wild parrots. 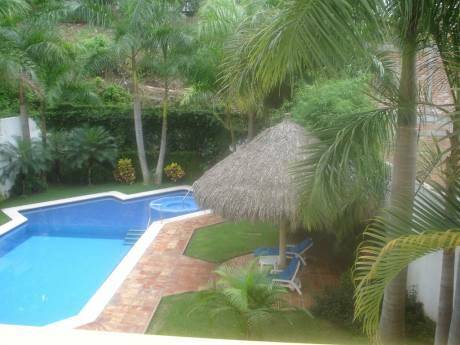 It is a five minute walk to a our beach or horse back riding up to the waterfall, swimming and restaurants. Famous film set of the movie Predator, with Arnold Swarszanager. 15 minutes drive to the heart of Puerto Vallata, picturesque, vibrant, Mexican town by day and exciting nightlife. Puerto Vallarta is one of the most popular beach location in Mexico.